What does being “Mixed, Multiracial or Bi-racial mean to you in 2017? It means feeling and knowing that you are beautiful, and can accomplish anything you put your mind too! Do you have a go-to or token Mixed Chick Product you cannot go without? The leave in conditioner! It’s amazing, leaves my hair looking fluffy and curly without flaking. I also love the texture, it’s not watery… when it’s watery that’s when I know it’s no good!! 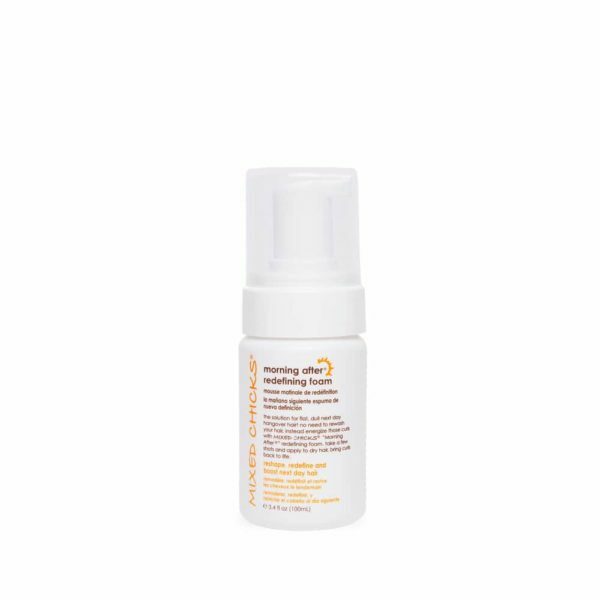 How has having a product specifically for your cultural/biracial/ethnic/multiracial background impacted your beauty regime? People always compliment me about my hair and how beautiful it is and how healthy it looks. My hair compliments my face when it’s done the right way. When I don’t have what I need in my hair, it gets flaky or I look like a wet dog lol! Having the right product when being mixed is so important! Do you use any other Mixed Chicks products as part of your beauty routine? Right now, I just use the leave-in conditioner, I do have the brush, but like most curly heads I don’t brush my hair too often lol! The redefining foam smells so good, but it’s not enough for all my hair. I literally use a whole bottle of it lol! 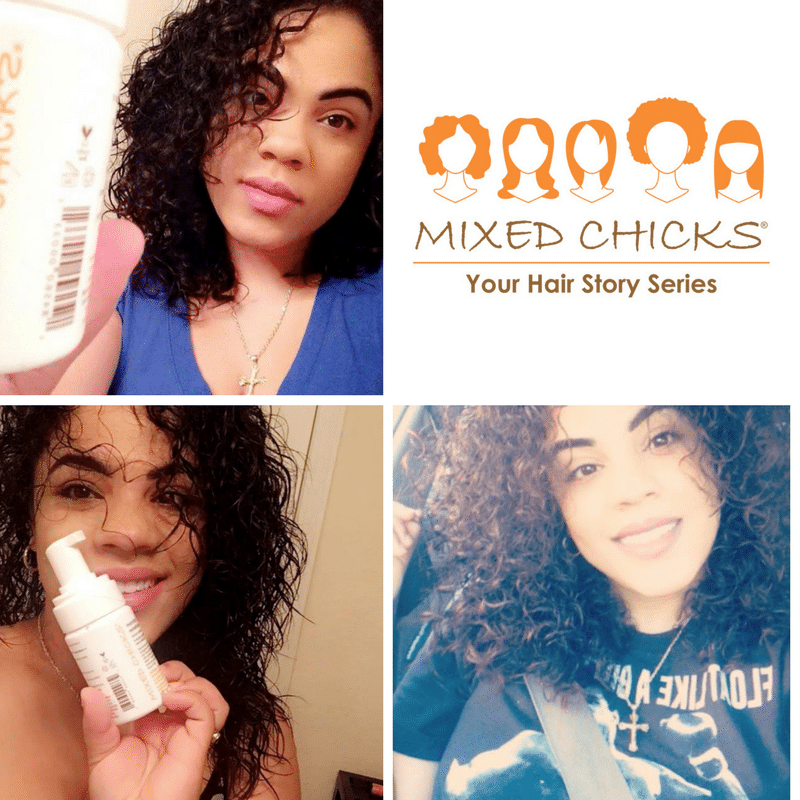 What new 2017 Mixed Chicks product are you interested in trying out? I would like to try the deep conditioner and some more leave in conditioner lol! What is one feature of the Mixed Chicks brand that empowers your hair/beauty care? Honesty is key right? I don’t say this to be malicious… but seeing people who actually have my kind of hair and texture actually make a brand for me is important… I see people with straight hair like Caucasians try to make hair for us and it never works! If you haven’t experienced what it’s like to walk a day in the shoes of a curly headed person, you’ll never know how to take care of it! Why is the hair revolution celebrating natural/healthy hair types vital for our generation? Everyone is different and we should all embrace it! There’s nothing wrong with celebrating someone who looks different then you or has different hair…hair doesn’t define a person (in some cases that may vary)! Is there a (Mixed/Multiracial/Bi-racial) celebrity who empowers you? No. Do you have any go-to beauty/hair bloggers or vloggers who inspire or help your hairstyles? Nope. Inspire myself honestly. I battle with PCOS and speaking for those who are too ashamed too do so. I battle with feeling ugly some days, I style with acne, I battle with dry hair, I battle with weight gain. I honestly battle with it all. Every day I wake up stronger then yesterday and that’s because God allows that! The only person I look up to is him and then me.